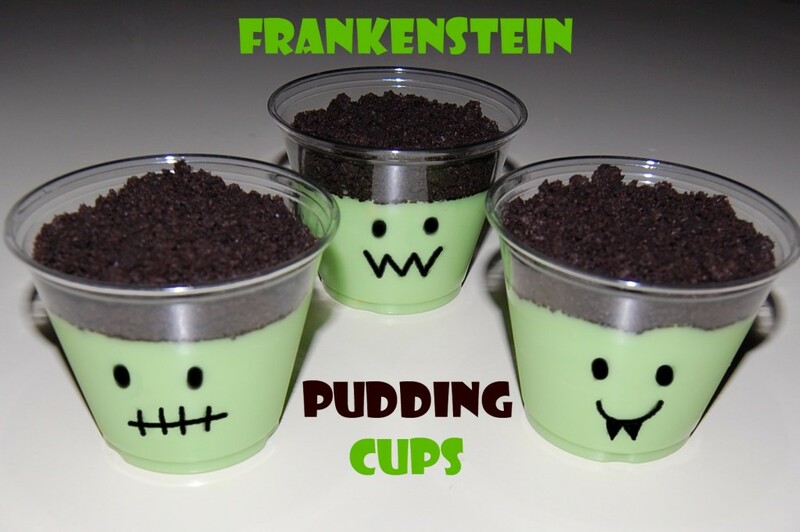 These cute cups are filled with vanilla pudding tinted with green food coloring and crushed Oreo's. 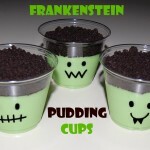 Have your kids draw faces on the cups and you've got the perfect treat for their Halloween/Harvest party!! With a black permanent marker, draw cute faces on the clear plastic cups. Crush Oreo's in a Ziploc bag using a rolling pin. In a large bowl, whisk together vanilla pudding and milk. Tint pudding with gel food coloring. Cook's Notes: Draw faces on the cups BEFORE you fill them, as they sweat when filled with cold pudding! Do you think it would be ok to make these the night before and cover with plastic wrap and then put the crushed Oreos on right before serving?